Labai trumpos ir aiskios rekomendacijos apie email marketinga. Dalinuosi su Jumis, ka perskaiciau Maciej Ossowski straipsnyje skelbtame 2012 m. sausio 3d. The email marketing environment shifts especially swiftly, so let's take a look at some of the key trends that dominated the game in 2011 and that will surely continue to reign this year. Some email marketers hate the term, but hey, relevancy is here to stay. Email service providers, such as Gmail or Hotmail, continue to develop new ways to prioritize messages with a very individual approach. Newsletters no longer have to be marked as spam to disappear from one's inbox. Considering the ongoing emphasis on features such as Gmail's Priority Inbox or Hotmail's Sweep functionality, senders need to ensure the relevancy of their offers. Gone are the days of "batch and blast." 2012 is all about tailor-made offers matching the recipients' preferences. If you miss that, you will lose conversions, decrease your sending reputation, and wind up in the junk folder. Is anyone still impressed by the plain "Hello, (first name)" type of personalization? The answer is no, and it's high time to take email personalization to the next level. This year will be all about using customer data for newsletter content. Purchase history, website activity, and customer relationship management (CRM) data will be used widely among top retailers to ensure that their emails are as personal as possible. If you hadn't started collecting the "finer" data yet, this past holiday season would have served as a great opportunity to learn more about your customers so you could send them more personalized emails this year. Clicking the "send" button less often is something you should definitely do over the next 12 months. Don't get me wrong; that doesn't mean that you should send fewer emails. Communication is becoming more and more event based, so the subscriber should actually prompt your sending of an email in most cases. Event messages (or, so-called triggers) will become more and more popular this year, and they should definitely be a part of your email strategy. Event messages reportedly have nearly 71% higher open-rates, and they can generate five times higher return on investment (ROI) than a standard weekly newsletter. Offers created on the fly will surely be on the come up! Facebook is getting more and more popular, and people love to tweet because of the brevity of 140-character-limited messages. Some 15% of email opens were generated via mobile device in 2011. Is that something that you should worry about? Does that mean that the good ol' desktop email clients will shortly become obsolete? 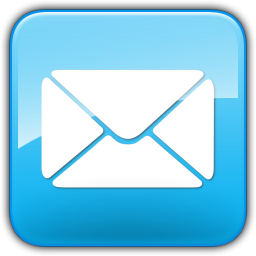 2011 was a decisive year for email marketing. With ROI at its finest (4000%, according to the DMA), we've witnessed a definite channel and platform infiltration. Facebook fans sign up for newsletters on fan pages. Email users hit "Tweet this!" buttons in messages to share hot offers with their followers. Smartphone users consume email communication while stuck in traffic jams or while waiting in line at coffee shops. The word "cross-channeling" best describes this channel infiltration and teaches us a great lesson for 2012: Be wherever your customers can be. Make sure your newsletters are readable on an iPhone. Capture customers' email addresses on Facebook. Let them share your offers with their network. "Social" no longer applies only to social media. Social = marketing communication. You can be social via email, Facebook, Twitter, blogs, SMS texts, PCs, Androids, iPhones, etc. Those who work across those channels effectively will win the most customers. 5. So, Will It Be Any Good? Absolutely. Yes. Email marketing is here to stay; and as one of the most cost-effective channels, it'll still be popular in the struggling economy. With marketing budgets being cut back, emails are still the best way to retain current customer databases and open many upsell opportunities via low-cost promotions. Optimize your email communication, and follow your customers' needs and preferences. I'm sure your email ROI will not disappoint you in 2012!